Turquoise, purple, black and white rock star birthday tutu for girls. Black, turquoise, purple and white rock star tutu with polka dot ribbon streamers. This tutu is a great choice for a rock star birthday tutu, Halloween punk rock costume, or fun photo prop. 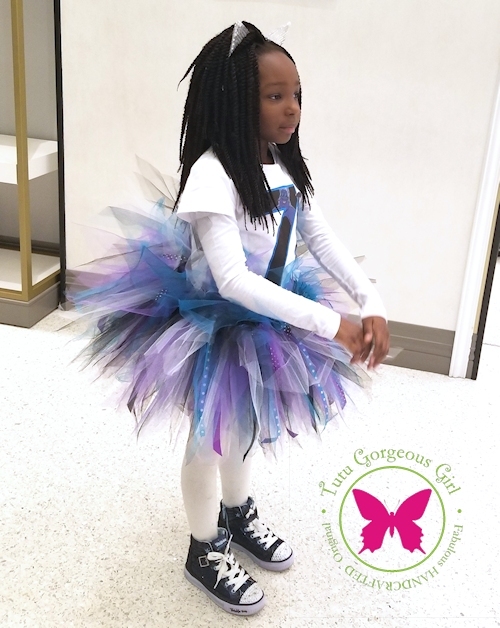 Tutu includes a layered bow clip at the waist.